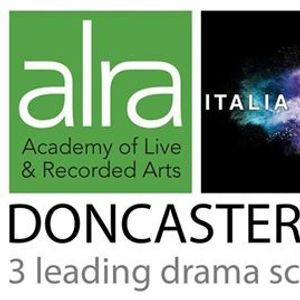 Three of the UK’s top Drama Schools have joined forces to reach the potential acting talent in Doncaster – offering an audition for 3 colleges in one day for just £30! To audition, you’ll need to prepare two monologues – one contemporary and one classical and, if you’re auditioning for the Italia Conti Musical Theatre course, you’ll also need to be ready to sing. You can find lots of tips and hints on the websites of each of the schools and on the FDS website here: bit.ly/2pHZ0F3. 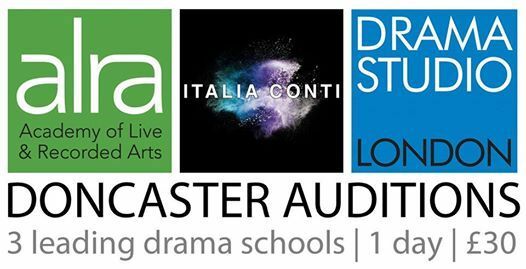 The auditions are at Doncaster Little Theatre on Sunday 31st March. You’ll need to complete an application form via this link: bit.ly/2TsUZRe. Please pay your £30 by 26th March at the latest. Send your application form to RkRTT3V0cmVhY2ggfCBnbWFpbCAhIGNvbQ==. All enquiries should also go to this email.